PreVent Model R1 or Model R2 is an air intake equipment high flow protection filter that draws in and traps airborne particulates before they can enter the system. 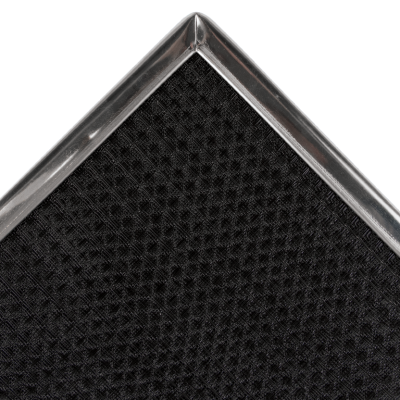 Constructed with one or two layers of 3-dimensional black honeycomb polypropylene electrostatic air filter media, PreVent Model R air intake filters are encased in a 1/8″-3/8″ rigid galvanized steel frame in various thicknesses. 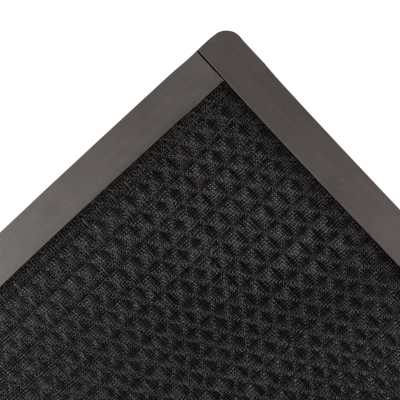 These air filters can slide into air filter holding channels or be finished with our patented magnetic mount strips used for flat surface indoor equipment applications,or a Z bracket to keep multiple intake filters side-by-side. BUILDINGS magazine selected PreVent as an HVAC Fix – 2014 Money-Saving Product winner. PreVent Air Intake Prefilter is part of an elite group of products showcased in the magazine’s June 2014 issue. Washable UV protected media, stands up to extreme outdoor or indoor exposure, corrosive chemicals, high velocity air flow, as well as industrial cleaning and maintenance. Independent testing, conducted by UL Laboratories, showed PreVent Filters cause less than 1% change in system discharge pressure. The filter has a low .02-.05 in. w.g. initial resistance to air flow depending on the filter media and number of layers required. BHC polypropylene media is heat stabilized, and will not shed fibers, absorb moisture or promote bacterial growth. Inherent electrostatic charge delivers a higher particle arrestance efficiency and enhanced ability to capture and hold smaller particles. Custom air filter made to the exact perimeter of the air inlet or outlet. Steel frame options include stainless steel, aluminum or painted black steel. Magnetic attachment not available on aluminum frame. Stainless steel is recommended for larger applications. Standard Model R 5 year warranty; extended warranty available upon request. Magnetic Attachment 2 year warranty. Custom made to the exact perimeter of the air inlet or outlet, PreVent prefilters can easily attach magnetically to metal cabinets.